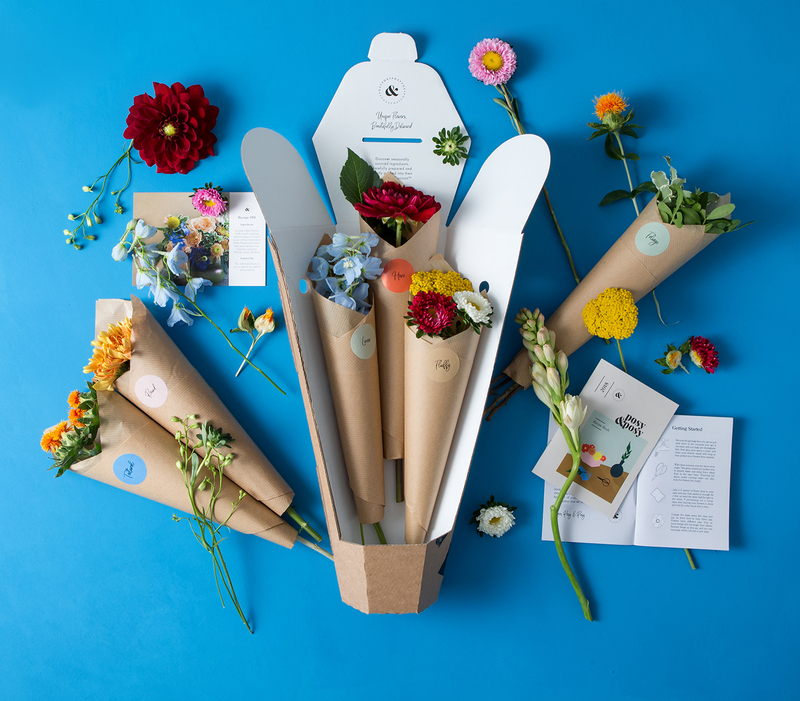 With so many flower delivery services on the market, we looked at some of the newer concepts – letterbox flowers, designed to fit straight through the door so you don’t need to be in, and subscription boxes, where blooms are delivered to your door on a rolling basis. These flowers arrive ‘in bud’, so that you can watch them bloom and last the maximum amount of time. They come with two food sachets (for day one and day three) and a booklet containing step-by-step instructions on how to unpack and arrange the flowers. 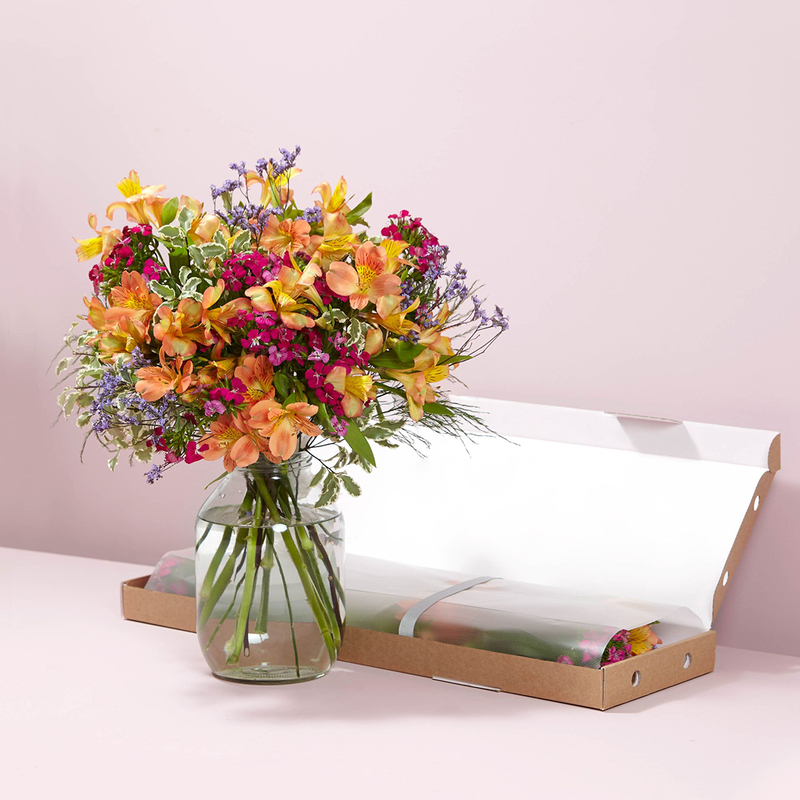 With 18 assorted stems, from fiery alstroemeria to rich red sweet william and greenery from tree fern to pitto, this bouquet looked full and vibrant from day one. By day three, it looked even more so, and lasted just under two weeks. 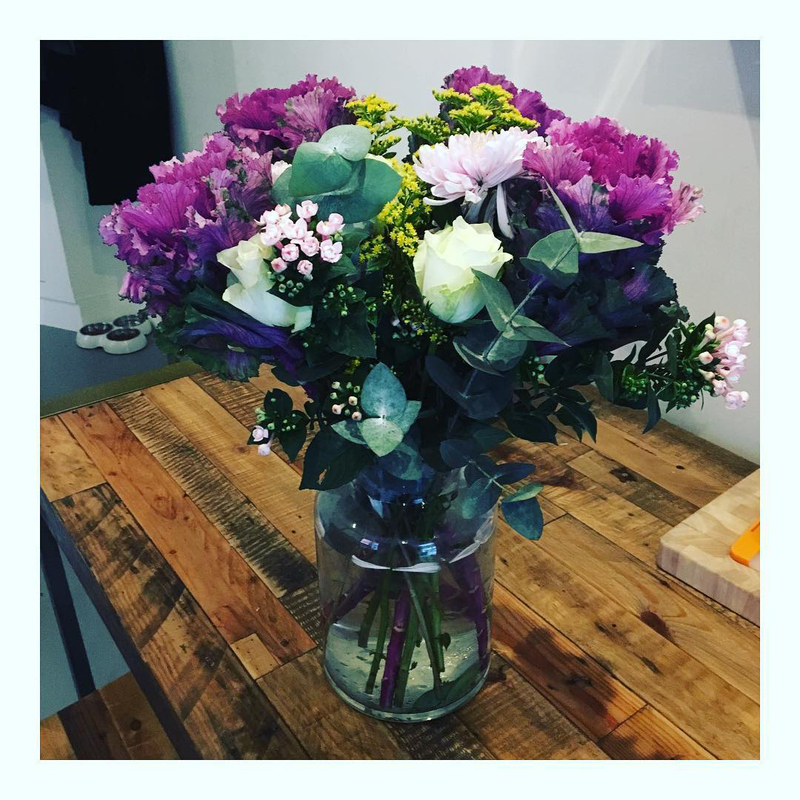 Another bouquet that arrives in bud, this contained 14 stems, a mixture of white athena roses, two-tone lisianthus, dark milka aster, white gypsophila and eucalyptus. It had just one sachet of food, but after following the care tips – they encourage you to get creative and arrange them how you want – it came into its own by day three and lasted just shy of two weeks. 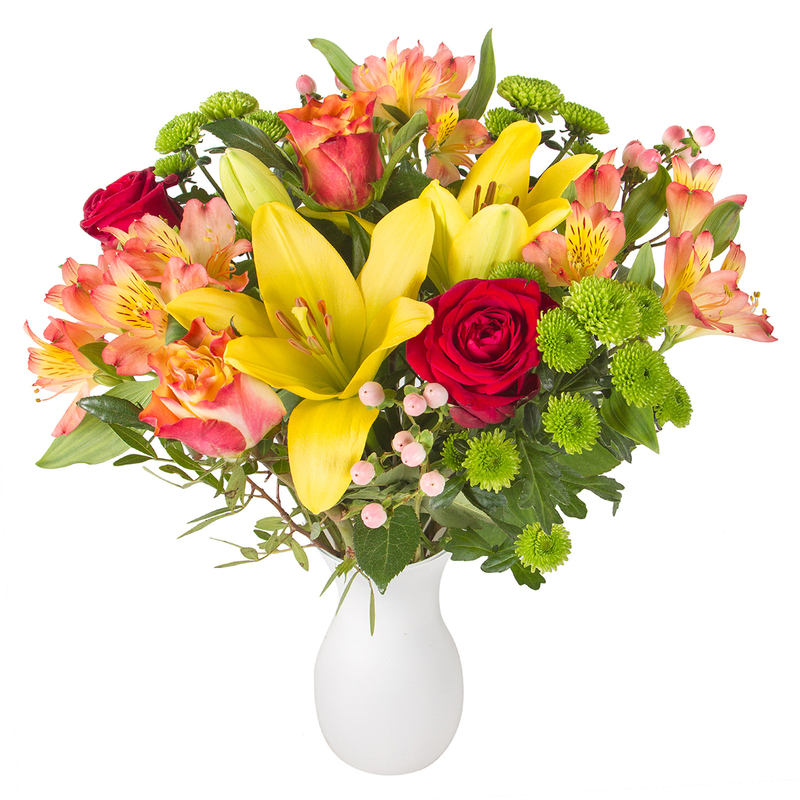 We loved the colours in this bouquet – vibrant yellows and oranges and warm red reminiscent of a sunset. There were 16 stems, an assortment of roses, lily, chrysanthemum, hypericum, alstroemeria and pistache, which complemented each other beautifully. Sent ‘in bud’, some of the flowers were slightly more open than others, but by day three, the lilies opened, the bouquet bloomed and looked beautifully full. It came with one sachet of flower food and lasted about ten days. With an impressive 25 stems, this was the fullest letterbox bouquet, though it should be noted that the packing box, while thin enough to fit through a letterbox, was more than a metre long. Containing red ruscus, copper-sprayed eucalyptus, purple carnations and purple santini, among others, it looked luxurious and professional when arranged. It came with one sachet of flower food and lasted nine days, needing regular changes of water, perhaps because there were so many stems. Delivered by van direct from Freddie’s Flowers, these arrived in quite a large box; however, with a regular subscription, the packaging can be picked up to be recycled the following week. Inside were flowers to make the company’s ‘Cabbages and Roses’ bouquet – an interesting mix of 16 stems including roses, bouvardia, brassica and eucalyptus – with an introductory booklet and leaflet with step-by-step instructions on how to style the arrangement. When styled, it looked contemporary and professional, and with two sachets of flower food, it lasted 11 days. Subscribers can skip deliveries, up to 48 hours in advance, via an online calendar, and cancel whenever they wish. 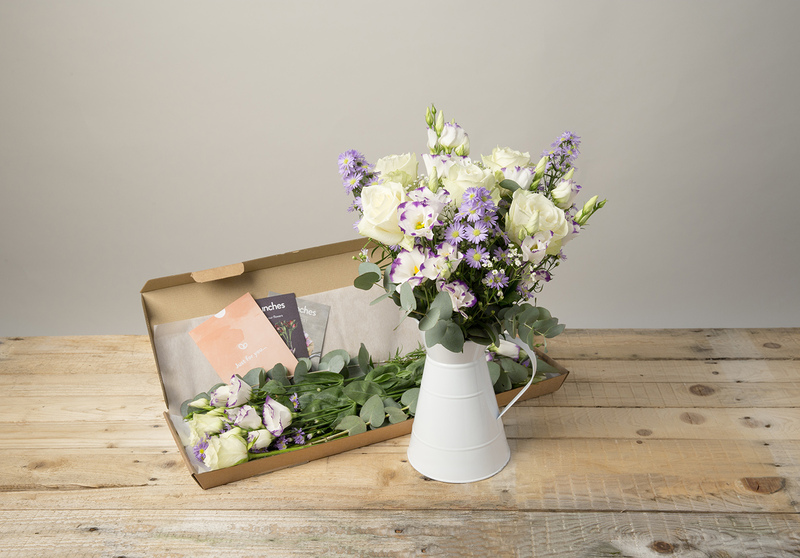 The idea behind Posy & Posy’s ‘creative floral recipe boxes’ is to give you the tools to learn about the art of flower arranging. The flowers came in a ‘PosyCocoon’,which uses compostable gel bags to keep the flowers hydrated. Inside was a ‘recipe book’ with instructions on how to create the design alongside six types of floral ingredient – hero, round, fluffy, linear, foliage and textural. 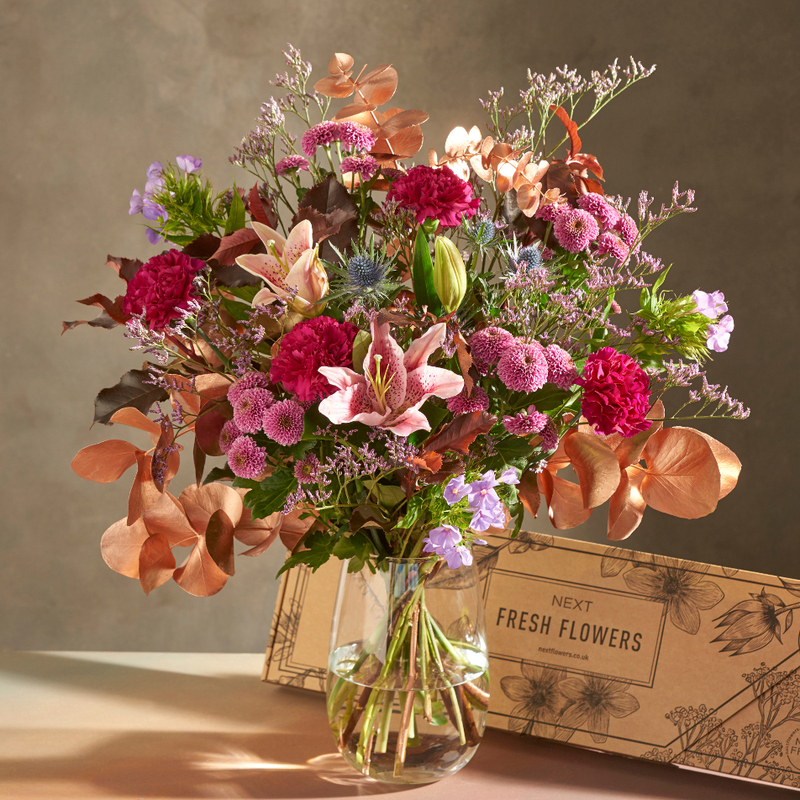 Our Midnight Wanderings recipe comprised 21 stems including flamingo flowers, orchid anemones and matilda rose stocks, which combined to form a rich and moody bouquet. You can subscribe on a monthly, fortnightly or weekly basis and cancel at any point. If you want to become a dab hand at arranging unusual flowers, then this one is for you.